Diversity and Inclusion practices in housing and mortgage finance industry have come a long way from the time the Fair Housing Act was signed 50 years ago. Since then, many individuals have benefited from the fair housing rules to achieve the American Dream of homeownership. 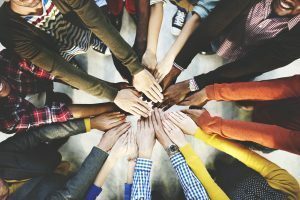 With the industry celebrating World Diversity Day recently, there are still many individuals, who continue to face discrimination in finance and housing. The LGBT youth, for example, continue to make up an abnormally high percentage of the U.S.’ homeless population and also sometimes face discrimination or limitations on access to financial services. The American Mortgage Diversity Council (AMDC), in partnership with BankUnited, will host a town hall discussion with leaders from the Miami LGBT community on Wednesday, May 23, 2018, to tackle such issues. The meeting is the third in a series of town halls convened by the AMDC with LGBT community leaders in some of the major cities across the U.S. The first two AMDC town halls in Dallas and Chicago respectively discussed topics such as housing protections for LGBT individuals, federal programs that encourage LGBT homeownership, workplace inclusiveness, and discrimination protections, and unconscious bias training. Participating organizations for the third town hall include, Five Star Institute, Fannie Mae, Bank of America, BankUnited, U.S. Bank, Laudan Properties, Federal Home Loan Bank of Chicago, Freddie Mac, Miami-Dade LGBT Chamber of Commerce, Equality Florida, Lambda Legal - Chicago, Hope, Inc., SAGE, TransSocial, Inc., Pridelines, The Alliance for GLBTQ Youth, Our-Fund.org, and NAGLREP. The upcoming Diversity issue of MReport in June touches upon these topics and also gives an insight into how organizations work with different employee groups, including LGBT, to foster diversity and inclusion practices that also benefit the business of the organization. Read all about these best practices in our cover story Measuring Change. Don’t miss the AMDC webinar on May 30, 2018, to learn more about how increasing inclusiveness contributes to the health of an organization and benefits the bottom line. Click here to register for this webinar.